A total of 10,787 unaccompanied foreign minors are currently residing in Italy, down from the 18,000 registered at the end of 2017, Unicef said. Overall, 3,536 minors travelled to Italy by sea on their own, the organization said. Thanks to its program in Italy, Unicef has supported 7,000 young migrants and refugees in 2018. 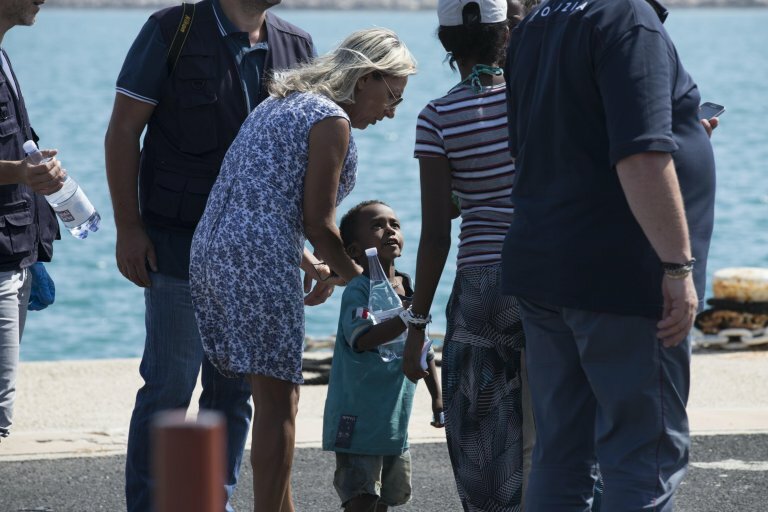 A reported 3,536 unaccompanied foreign minors travelled to Italy by sea in 2018 while a total of 10,787 unaccompanied foreign minors were registered in Italy, down from the 18,000 recorded at the end of 2017, Unicef has said. The decrease was due to a drop in arrivals and to the fact that many of the teens who arrived over the last two years turned 18, the organization explained. In addition, Unicef said that 5,229 became untraceable. The nationalities of unaccompanied foreign minors have also shifted with the majority in 2018 hailing from Albania and Egypt while most of those who arrived by sea in 2017 came from sub-Saharan countries. Unicef has offered support to 7,000 young migrants and refugees thanks to its program in Italy. They included 2,191 youths who benefited from an improvement in services and hosting conditions; 243 who were offered protection; 310 who received foster care; 1,520 minors who were identified, supported and helped in transit areas; 1,500 minors who took part in recreational and social activities; 500 who were enrolled in training programs; over 1,100 who were able to use the platform U-Report on the Move. A report on the program highlighted the diversity in the services provided to unaccompanied foreign minors. It also noted that there were few alternatives to hosting centers, a gap in the training of operators who work to identify and manage the most vulnerable cases, difficulties in enrolling in school and professional training and the few opportunities offered by training programs.